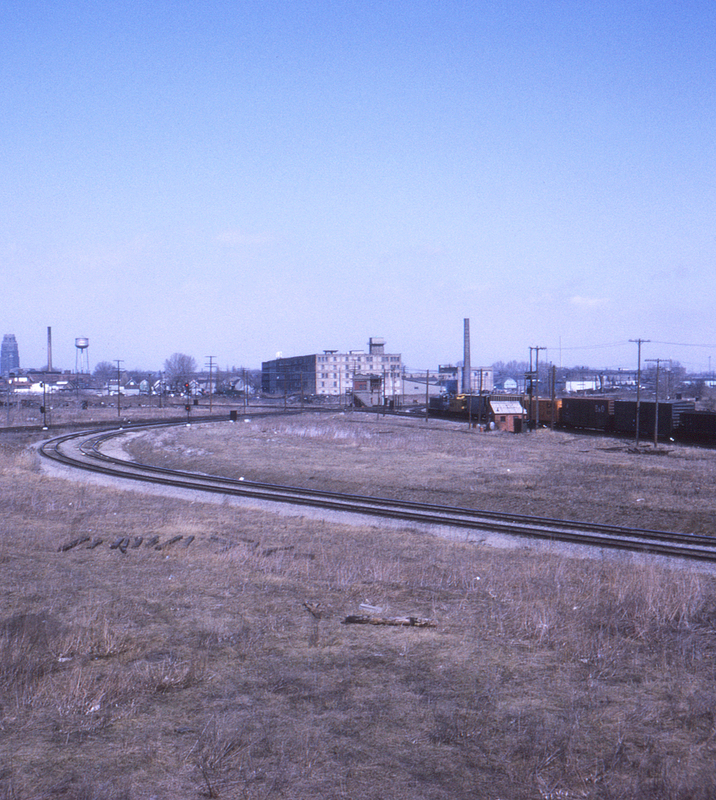 This slide provides a clearer view of FW Tower's "cadillac curve," built to provide easier access between Norfolk & Western and Erie Lackawanna trackage in Buffalo, New York. The curve acquired its nickname due to its ability to handle much longer cars that the tight connecting trackage previously provided. The tracks to the far left belong to the former Erie, with the northbound Baltimore & Ohio transfer run on Buffalo Creek rails.